After seeing what mesothelioma cancer did to his father, James Bard really doesn’t think playing soccer for 70 consecutive hours will be such a tough task. It’s the least he can do. Bard and 35 others in Brandon, Florida, will attempt to set a Guinness World Record Nov. 9-11 for the longest soccer game, using the event to raise money for mesothelioma research and to raise awareness for the disease. 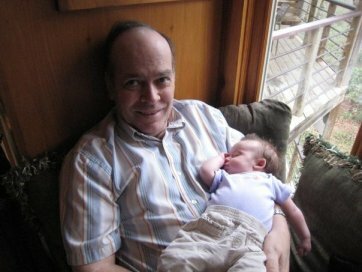 Bard’s father, also James Bard, died in 2009 at age 65, just 10 months after being diagnosed with pleural mesothelioma. His disease was traced to his asbestos exposure in the United States Navy, where he served as a firefighter during the Vietnam War on the aircraft carrier USS Coral Sea. The awareness means something to the younger Bard because he witnessed what mesothelioma did to his father. Bard’s original goal was to raise $50,000 for the Mesothelioma Applied Research Foundation (MARF), a nonprofit group that helps fund research and raise awareness. The idea of raising money by playing soccer was familiar to Bard, 37, and his friends. Many of them were involved 20 years ago in a similar effort, trying to set the record and fund their soccer team’s trip to Germany as teenagers. They fell well short of the record then, but they are a little wiser now, considerably slower, and a lot more determined. The game begins 10 a.m. Friday, Nov. 9. They hope to play without stopping until 8 a.m., Monday, Nov. 11. To claim the record with Guinness, official soccer rules must be followed. Each team can have only 18 players, which includes seven substitutes. There must be certified referees, and an official present to keep a log book of the game, track substitutions, and keep the score. In addition, the entire game also must be videotaped. All players also must remain on site throughout the game. Tents will be used on the sideline for the substitutes needing sleep. Sponsors are providing food and drink. For anyone in the area wishing to watch, the game will be at the JC Handley Park in Brandon, where there will be food trucks, vendors and daytime activities for children and families. Many of the players are former teammates or competitors of Bard’s from his youth-league days. According to Guinness, the longest marathon playing football (soccer) is 62 hours. It was done in Horssen, Netherlands, in 2012. The score was 637-608. Bard believes that record already has been raised to 66 hours by another group that is awaiting official verification. Bard works today for the state of Florida, helping military veterans find employment and job training. He previously served in the Marine Corp, where occasionally there was talk about asbestos exposure in the barracks where he lived at Camp Lejeune, but nothing like the stories his father told. Mesothelioma has no cure, although therapies slowly are improving, particularly if it is diagnosed early enough. It can be anywhere from 10 to 50 years after exposure to asbestos that mesothelioma is discovered. Too often, it already has spread. Navy veterans are among the most vulnerable because asbestos use was so prevalent in the ship-building industry. It was used virtually everyone because it was considered a perfect fire-retardant mineral. “We’re getting a lot of help with this event. I just heard from a lady in North Carolina, whose brother died recently from mesothelioma at age 52,” Bard said.